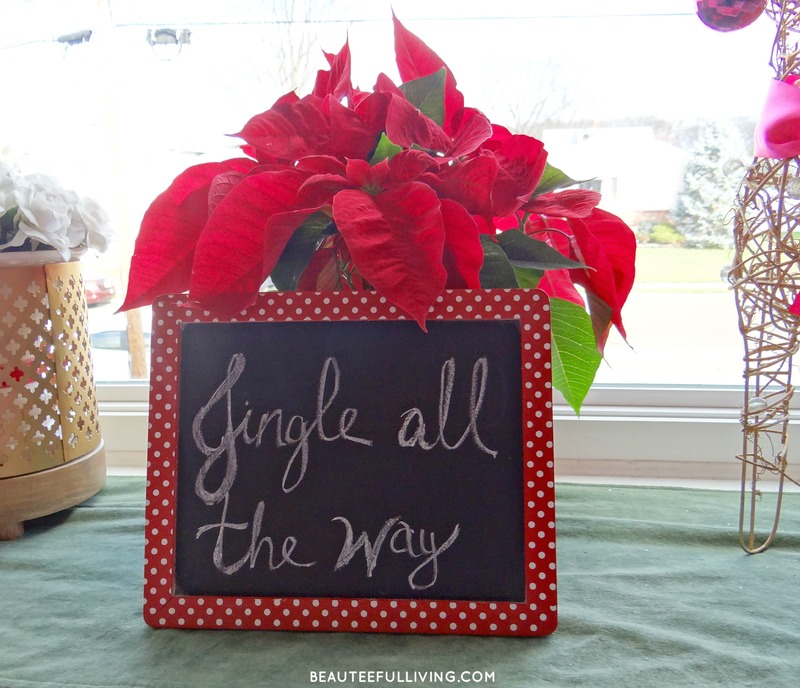 I’m so excited that the day is finally here for the full reveal of how I decorated for Christmas this holiday season! 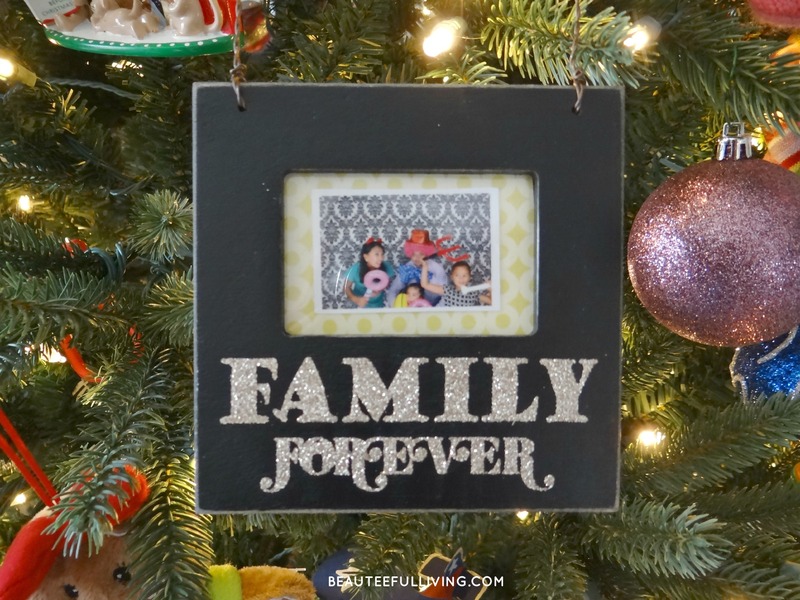 This post is part of the Christmas edition of the Holiday Craftacular blog hop and link up. I wanted the buffet table between our living and dining room areas to have a neutral color theme. Aside from the green wreath, I only used decor in silver, white, and gold. Details on how I created this look HERE. Don’t you just love all things that light up for the holidays? I love the evenings when my “joy” marquee letters turn on thanks to the built-in timer. By the way, I now own 2 white-colored nutcrackers. Bought my first nutcracker last Christmas and now another one this year. I think I may start a tradition of collecting one white-colored nutcracker each Christmas. Here’s our Pre-lit Christmas tree trimmed with all of my favorite ornaments. Tips on how to decorate a Christmas tree HERE. 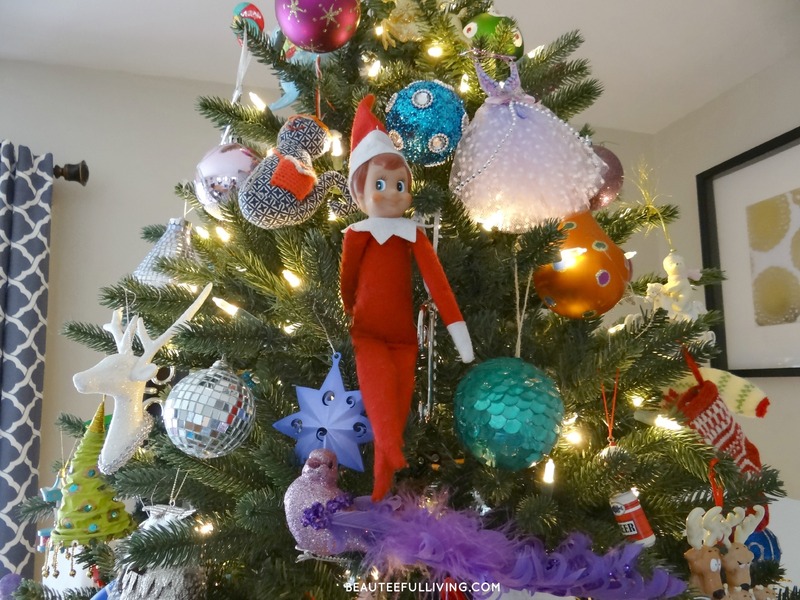 Did you spot our Elf on the Shelf? I’m sure I’m not the only one who’s woken up countless of nights in a panic. I haven’t slipped up yet on moving him but with weeks still left, I have plenty of chances to mess up! By now, you’d think they would’ve created an elf that flies to a different spot every night! This year, the elf brought the girls a little train set. Oh joy … more junk stuff to pick up after. Just a few touches to make our living room look more festive. 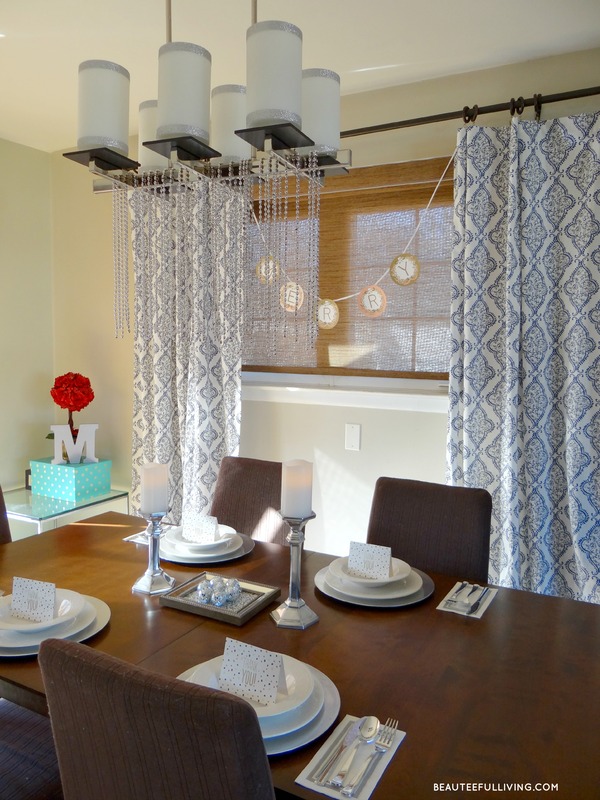 Our dining room is also decorated in the silver color palette. 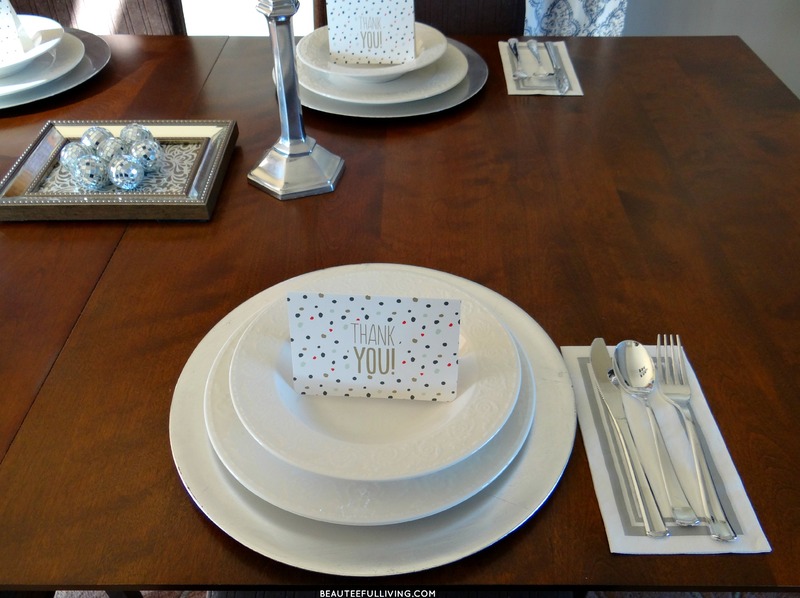 Wouldn’t it be nice to leave a little “Thank You” note for your invited guests to read this Christmas? Here’s a DIY project I did for the holidays. In case you missed my trick, here’s the post. 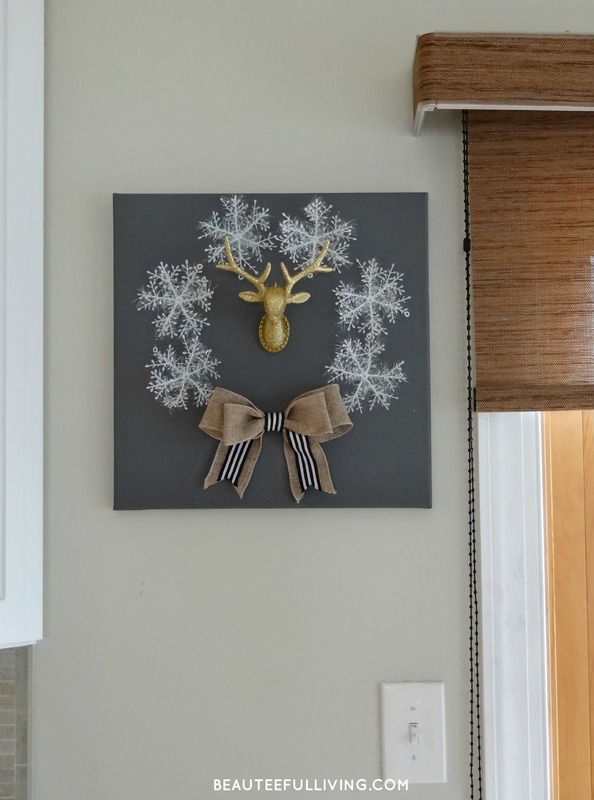 The Winter Holiday Canvas Wreath DIY project I shared recently is hanging between our kitchen and dining room. Full tutorial HERE. 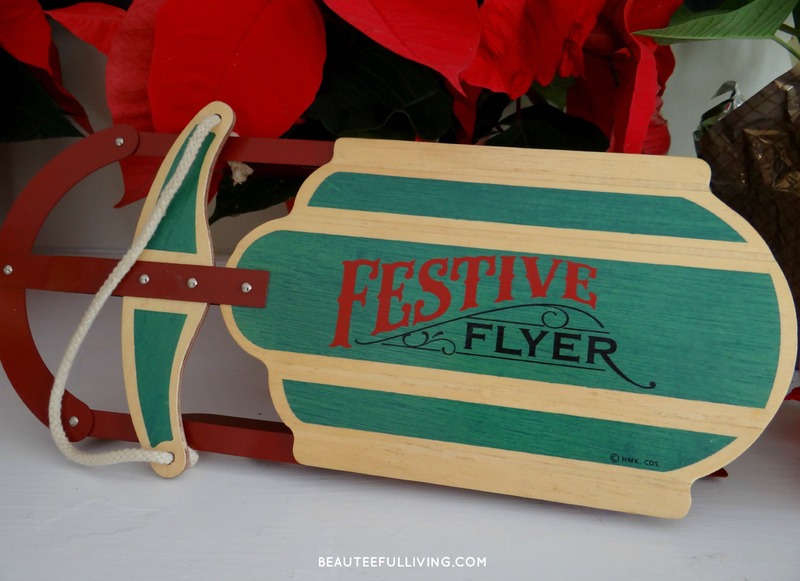 Bought this cute little “festive flyer” decor piece for only $1.00 at a flea market! 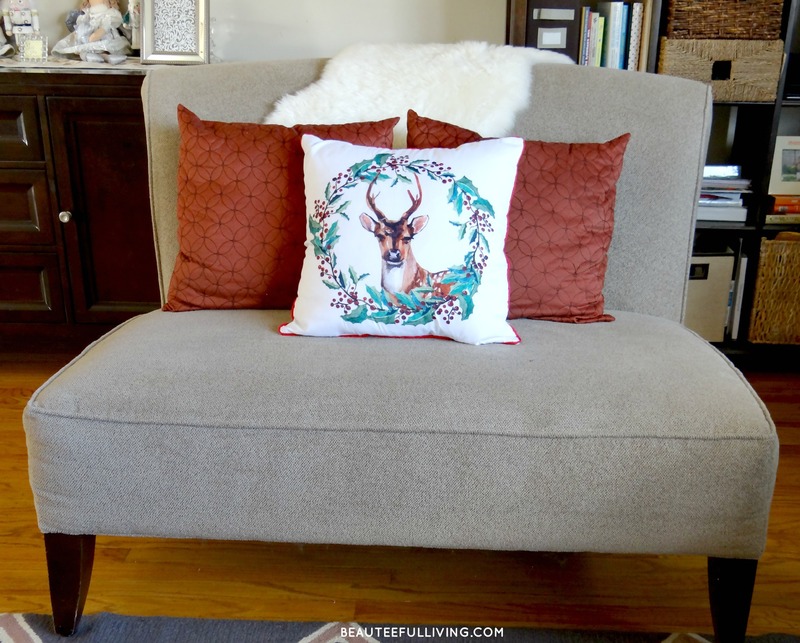 Like what you see from my Christmas Home Tour? Please PIN or share with others. Thanks a bunch! Before I go, I’d like to share my pick from last month’s Holiday Craftacular “fall” themed blog hop. 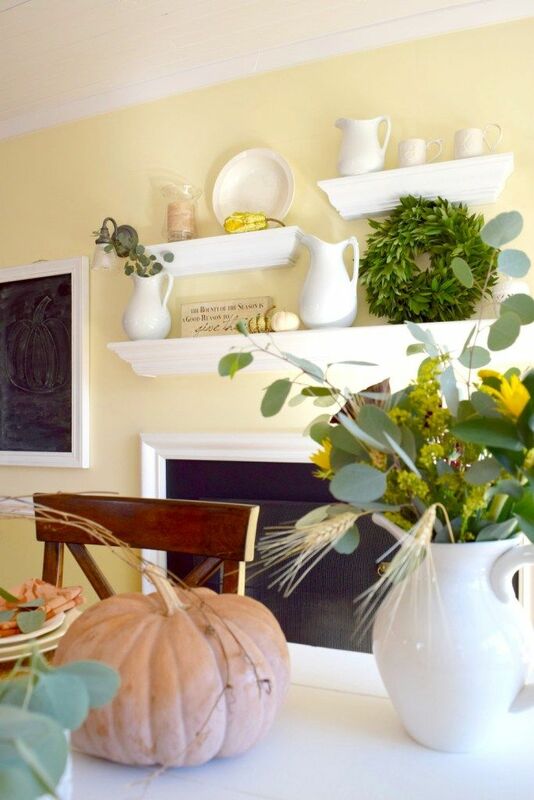 Isn’t this Thanksgiving mantel from Karen’s Up on The Hill lovely? All the wonderful details can be found HERE. Be sure to check out the other great posts by my fellow craft bloggers. Take a look below! 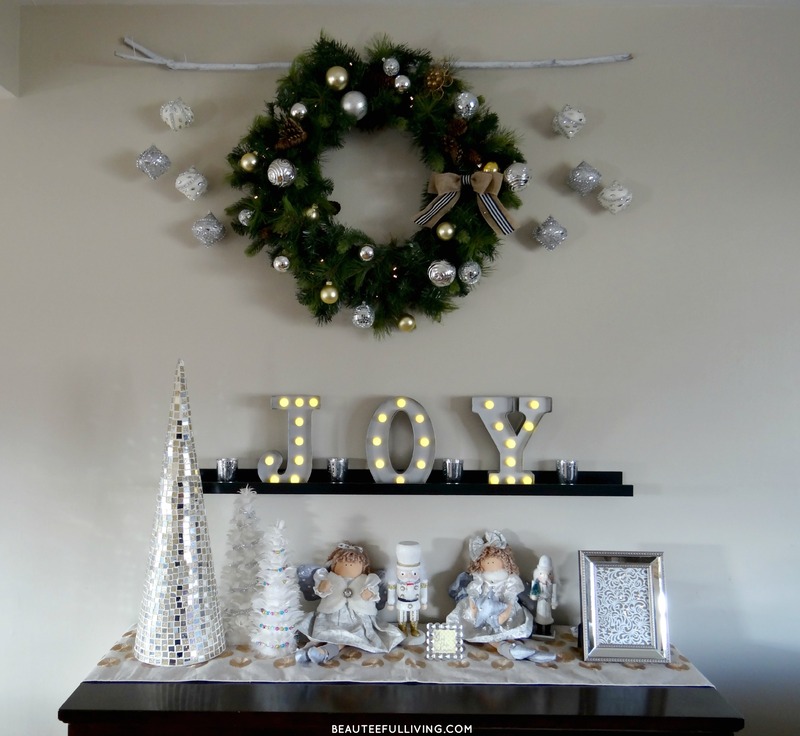 Christmas Home Tour from Curly Crafty Mom. DIY Snow Globes from Momma Lew. Giant Gold Dipped Tassel from The Logbook. 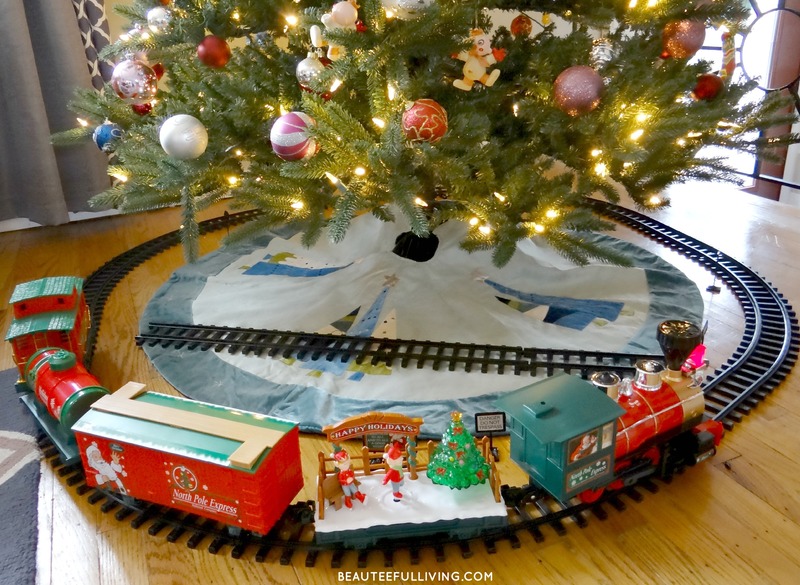 DIY Holiday Snow Village from Mom Home Guide. 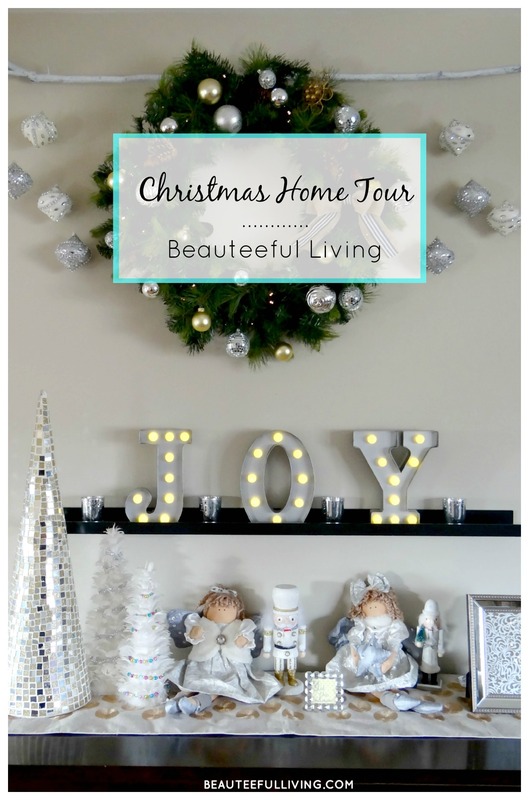 Have a question or feedback on my Christmas home tour? I’d love to hear from you. Thanks for reading. Xo, Tee. 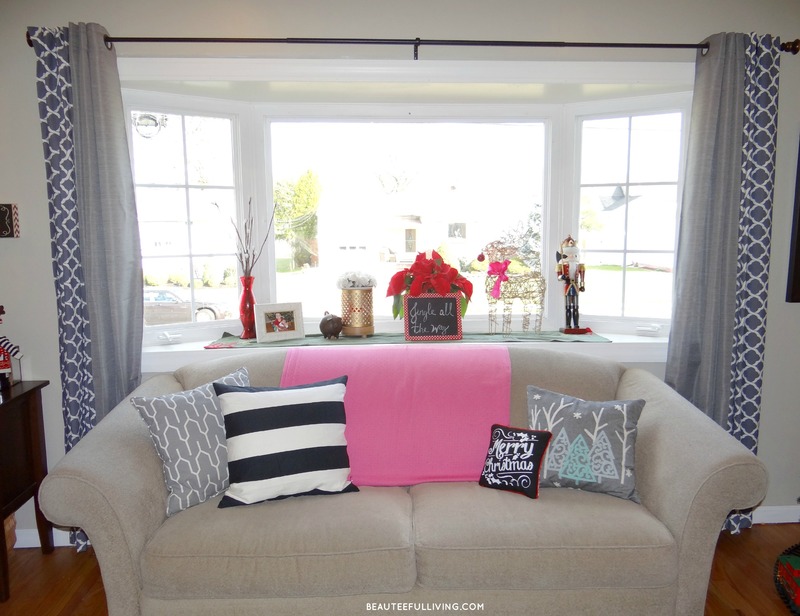 Your holiday home looks wonderful and cozy! I like the DIY touches. Wishing you a great year ahead! Thanks so much, Carol! I appreciate you for stopping by the blog and leaving a comment. Hope you have a wonderful 2016! Really, really pretty Tee! 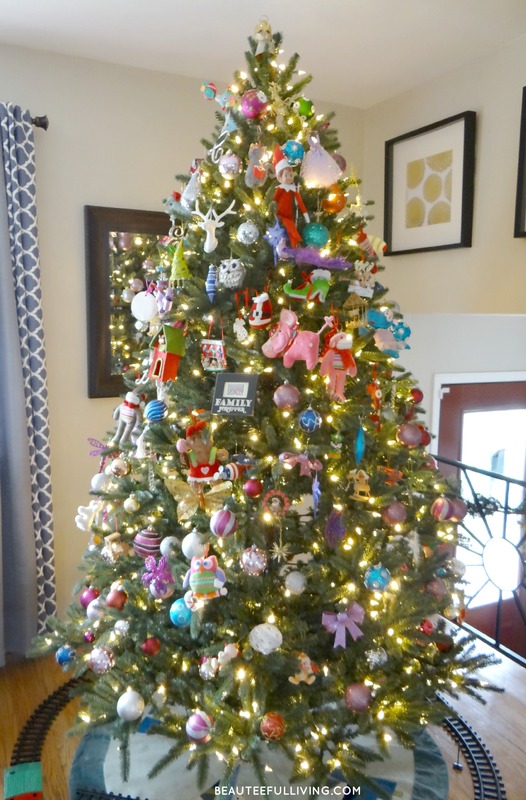 I think the tree is my favorite – I love all the colors! I love your style. Its not too much but not too little. You have a great eye! Thank you so much for your kind words, Nikki! Your decorations are beautiful! I love the wall art! What a gorgeous home tour! I love your wooden sled, I have been looking for one. 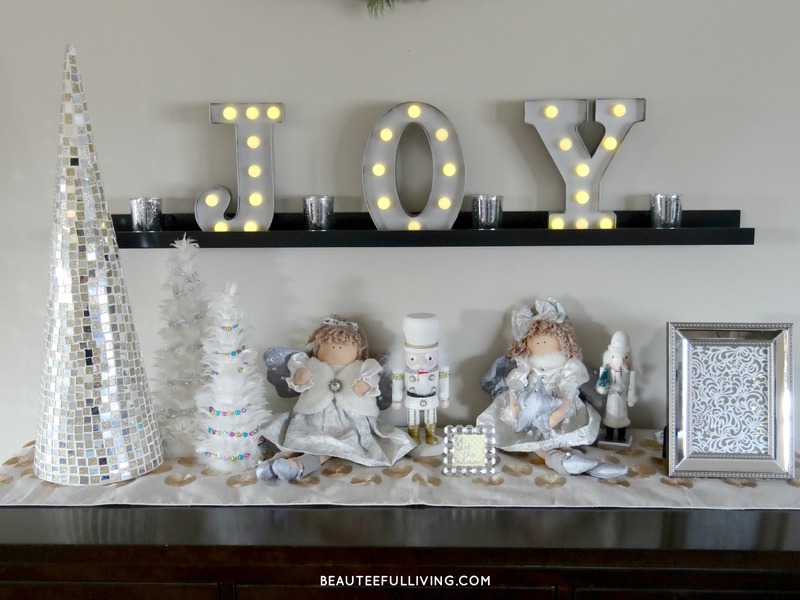 And, the light up J O Y letters are perfect, too! Thank you for sharing! Love it! I love all of the light colors you used and your wall art you made is adorable! What a beautiful home! 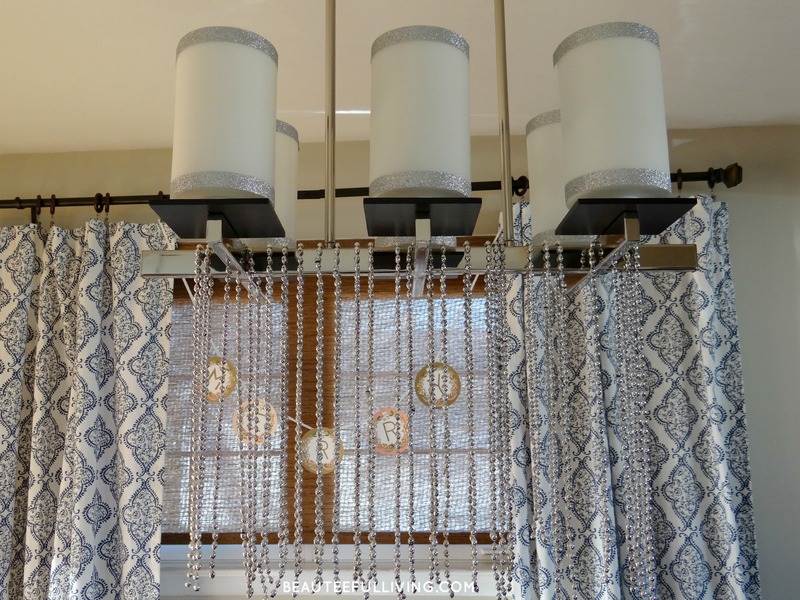 I love your silver dining room and that silver chandelier! Well I just love everything really! Thanks, Sydney! Because I get bored with my chandelier, I’m constantly figuring out ways to change it up for various holidays. Thanks for stopping by. Tee, your home looks beautiful!! 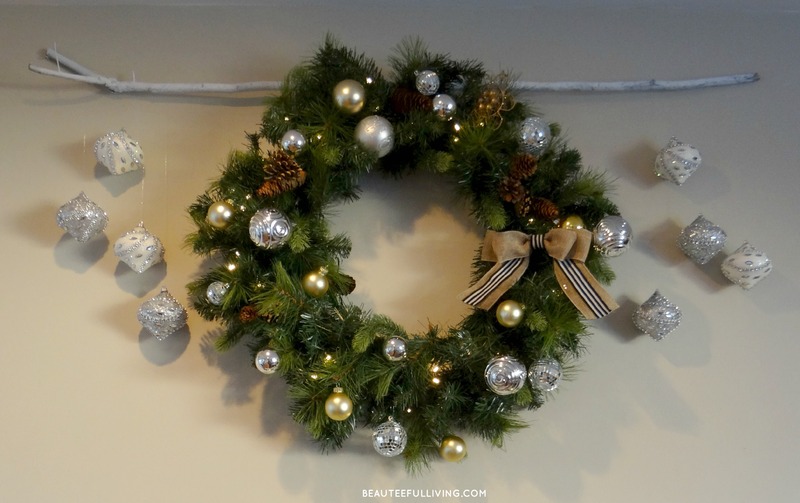 My favorite thing is that silver wreath with the chalkboard backing-love it! Gorgeous! I love all your colourful touches. Hi, Tee! 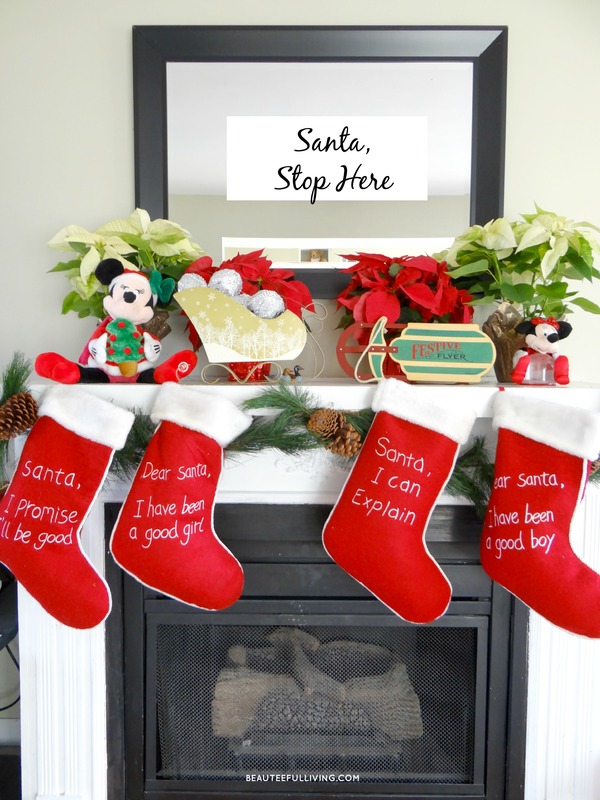 Your Christmas decor is SO pretty! I also really, really love your tree! I love the pops of pink and blue on it! Adorable! Thanks so much, Lauren! We bought that pre-lit tree last year and love how bright the led lights look. Tee your house looks great! I love all of the bright colors along with the neutrals! A great balance! Thanks, Ruthie. I appreciate your kind feedback! 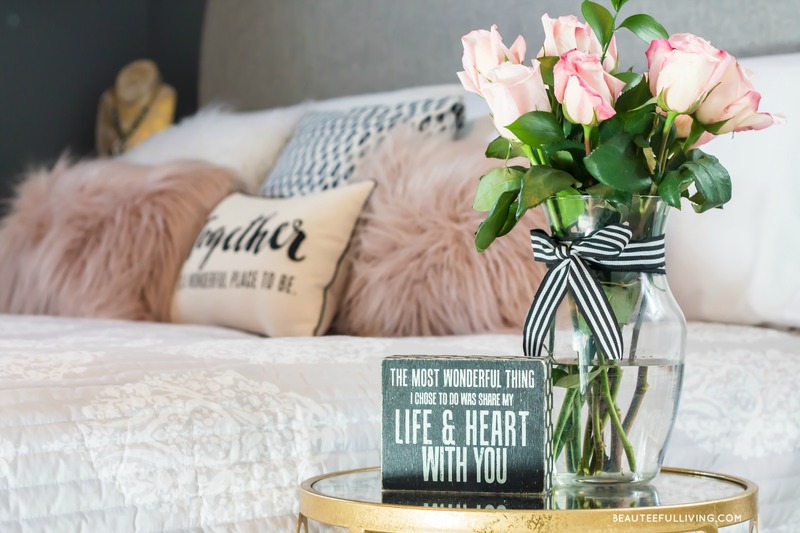 Love your home tour. Everything is beautiful and festive. Love the white, silver and gold as the main colors. Great job! I love your tree…so fun! Thanks so much for your sweet feedback & for pinning this. Have fun with your projects! LOVE your decorating choices! 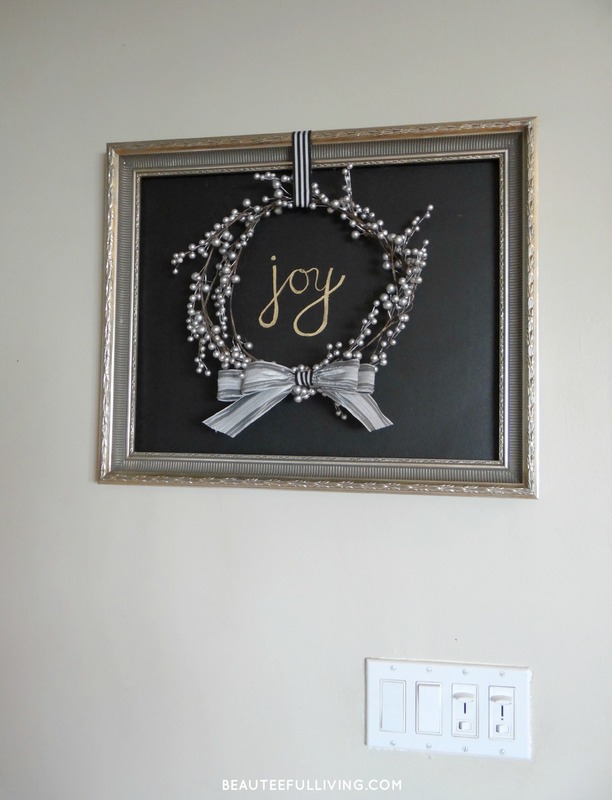 Especially the use of canvases and chalkboards—the possibilities are endless with them! Theresa I absolutely love your choice of color in your Christmas decor – but I’ll be honest – that light above your dining table stole the show for me! It’s GORGEOUS! You’re too kind, Dee! Thanks for the compliment on my pendant light. I just added some silver beads to glam it up a bit :).